Seven years have passed since Gorillaz last appeared on a UK stage – but with a new album on the way, the virtual band are cooking up an epic return. In keeping with their previous eclectic efforts, Gorillaz are teaming up with Red Bull and opening the doors to the ‘Demon Dayz‘ festival on Saturday June 10 2017 at the seaside setting of Dreamland amusement park, Margate. Created by Damon Albarn and Jamie Hewlett, Demon Dayz is set to be an extravagant festival pop up like none other. With an exciting lineup promised, performing across three stages, the event will see Gorillaz taking the headline slot. Demon Dayz is joining forces with Red Bull, for a collaboration that will enable fans to enjoy live streaming of the event via Red Bull TV. 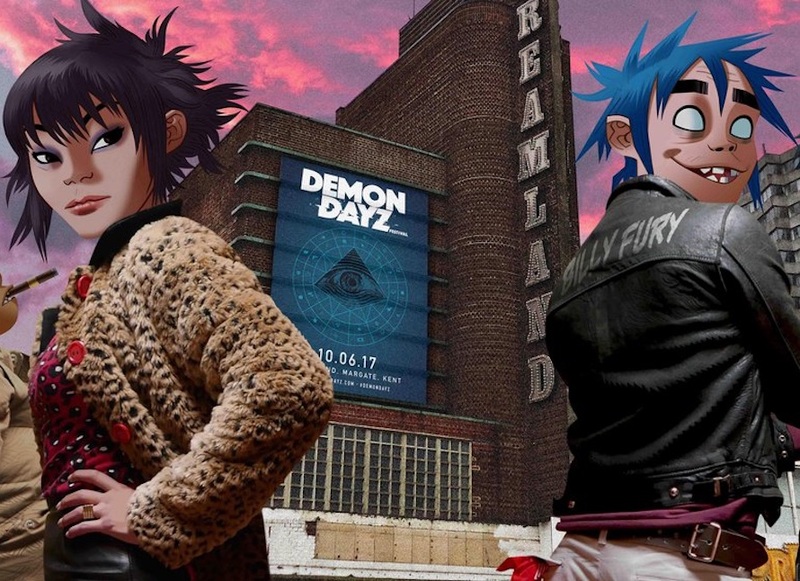 Tickets for the Demon Dayz festival cost £60 (+ booking fee) and include admission to the Dreamland amusement park. Tickets will be available from 9am on Fri 10th March. Tickets cost £60 + booking fee. Visit demondayzfestival.co.uk for more details.